The derailment of Puri-Haridwar Kalinga Utkal express at Khatauli has once again raised serious questions on the railways’ safety claims. At least 21 people were killed and many were injured. The derailments over a period of a few months are giving sleepless nights to the top railway. This is probably the first time when the railways has asked its top three officials, including member engineering, railway board, general manager, northern railway and division railway manager (Delhi Division) to go on to leave and suspended a few engineering wing officials. Railway minister Suresh Prabhu’s stern action has sent shockwaves among the top senior railway officials. When asked about railways’ decision of sending its three top officials on leave, director general (PR), ministry of railways, Anil Saxena said the railways has taken stern action against higher ups. Former chairman railway board Vivek Sahai told Governance Now that the railways should check whether train derailment and collision mishaps have come down. 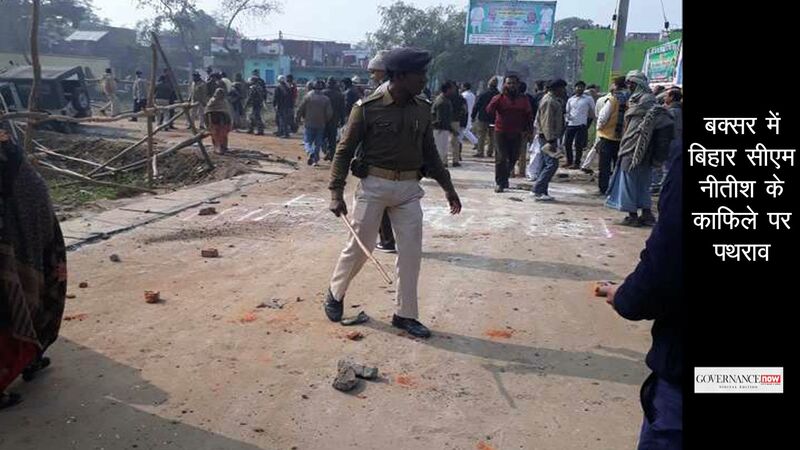 Sahai said the Khatauli incident is the case of negligence of safety wing officials. “If they are not concerned about safety, then there is something wrong. It has to be checked whether safety inspections, especially on the busy routes, are being done regularly. Human error element was certainly involved in this incident,” he said. He added the entire safety institution of the railways has to strengthen safety measures and should ensure correct training is being imparted to the staff. On Rashtriya Rail Sanraksha Kosh (RRSK) of Rs 1 lakh crore, Sahai said funds have to be spent in a correct manner. In the union budget 2017, the government agreed to allocate Rs 1 lakh crore over a period of five years to give a boost to safety related works such as track renewal, track maintenance, new technology coach manufacturing and other technical works. A provision of Rs 20,000 crore has been made in the Budget Estimate 2017-18 towards ‘RRSK’ to fund essential safety works. The safety wing officials at the Rail Bhavan have now been given strict instructions to thoroughly monitor track maintenance work, carefully discharge duties and coordinate with their subordinates to prevent such accidents. Even though the probe of the incident is on, the railways has found that the fatal mishap occurred due to human error. The derailment at Khatauli, 25 km from Muzaffarnagar, has brought lack of track maintenance issue to the fore. The incident has also shown railways’ hollow claims of improving safety by getting the help of experts from South Korea, Italy and France. Notably, two back-to-back accidents in November and December last year had prompted seek help from foreign experts. A team of experts from South Korea met senior railway officials along with railway board members at the Rail Bhavan on January 16, 2017 and visited Rura near Kanpur on the next day to assess the reasons behind the derailment of 15 coaches of Ajmer-Sealdah express on December 28, 2016. 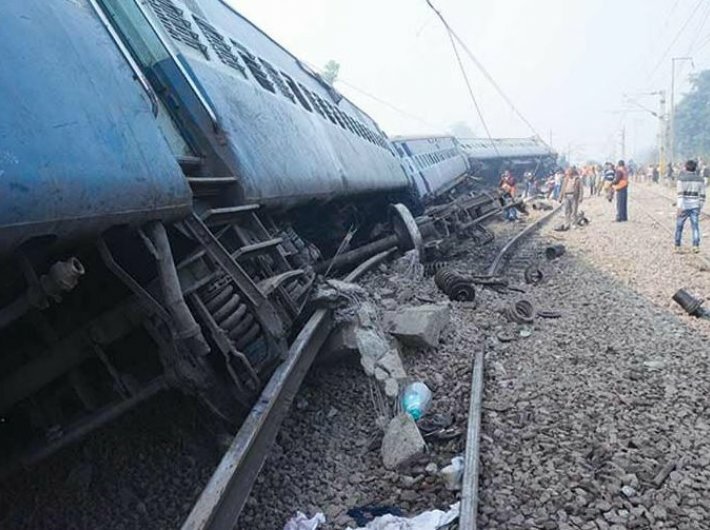 Prior to this, at least 145 passengers lost their lives after several coaches of Indore-Patna express got derailed near Pukhrayan in Kanpur on November 20, 2016. After receiving flak for the officials’ negligence, the ministry defended itself and claimed that accidents, in the past three years, in fact, have come down. Railway ministry has claimed that safety performance has been gradually improving in the past three years as consequential train accidents have reduced from 135 in 2014-15 to 107 in 2015-16 and further gone down to 104 in the year 2016-17. The railways has also claimed that unmanned level crossings accidents have decreased to 60 percent in 2016-17 as compared to 2014-15. The railways has to take quick steps to implement recommendations of Dr Anil Kakodkar Committee which was formed in 2011 and was constituted to go deep into the causes of rail mishaps and bring out safety recommendations to ensure accident-free operations. The committee submitted its report on February 17, 2012. However, the file kept gathering dust till February 2016 when it was finally accepted by the government to implement its suggestions. The 160-page committee report came out with 106 recommendations covering aspects like safety issues, upgradation of signaling and telecommunications, recruitment of safety staff, plugging the shortage of critical safety spares, removal of encroachments and elimination of unmanned crossings. 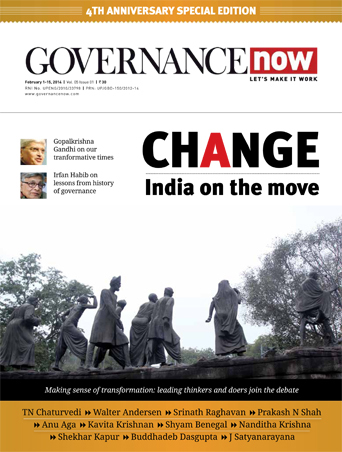 Out of 106 recommendations,68 were fully accepted by the railway ministry while 19 were partially accepted. The ministry turned down 19 suggestions. Only 27 recommendations of the panel have been implemented till November 22, 2016.